Sharing and editing documents have gone mobile with the emergence of mobile computing devices like smart phones and tablets. This means a whole new level of portability. Today, creating and editing PDF files is possible on an Android phone or tablet so a user can bring documents, allowing him to edit PDF on Android wherever he may be. This article will help you to pick the best free PDF editor for Android, as well as the best desktop PDF editor: PDFelement Pro. PDFelement ProPDFelement Pro is the highly recommended PDF editor for Mac nad Windows users. If you feel frustrated when editing PDF files, then this PDF editor will help you fix all. It allows you to edit the PDF files like working on Word processing. And it comes with features of converting, creating, form filling, password protected, data extraction and more. 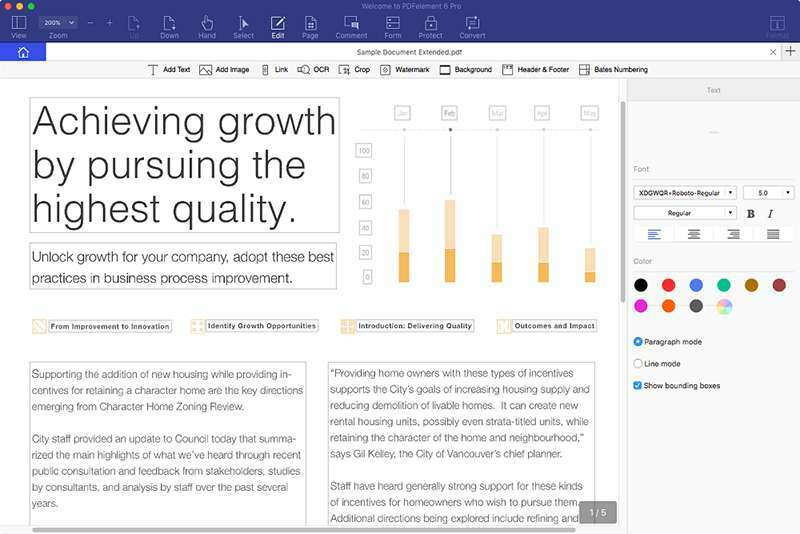 Just take a trial to edit PDF in an easy way. One of the most popular android PDF editor and reader in the Google Play Store is the ezPDF Reader developed by Unidocs. 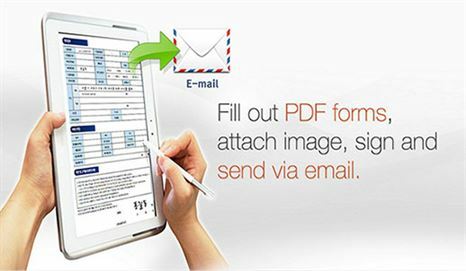 The program allows users to open PDF files and annotate or fill forms on a PDF file. While other apps used to edit PDF on Android devices automatically synchronize changes to cloud backup services, the app saves the file to the device before backing it up. The setup works for a single user accessing the file but could be a problem if multiple users are accessing the file at the same time. Annotation is made easy with the way the toolbar is setup. However, other user interface design is not the best and most intuitive design like most users want. Taking advantage of the portability of the device, people oftentimes work together on a certain project while on the field, inevitably working on a single file remotely. By far the app does not handle such collaboration well and the way it synchronizes changes and updates made on the file could cause a mess with the final result of the file. The pdf editor app for android serves not just as a reader but also a way to manage and share PDF files on mobile computing devices. Alongside Foxit Cloud services, the app allows seamless sharing and viewing of PDF files across different platforms on mobile and desktop systems. Text search within the PDF file. Certificate protection feature needs to be purchased through app. If a user prefers to or needs to have certificate protection for the file, the feature could be purchased from the app. 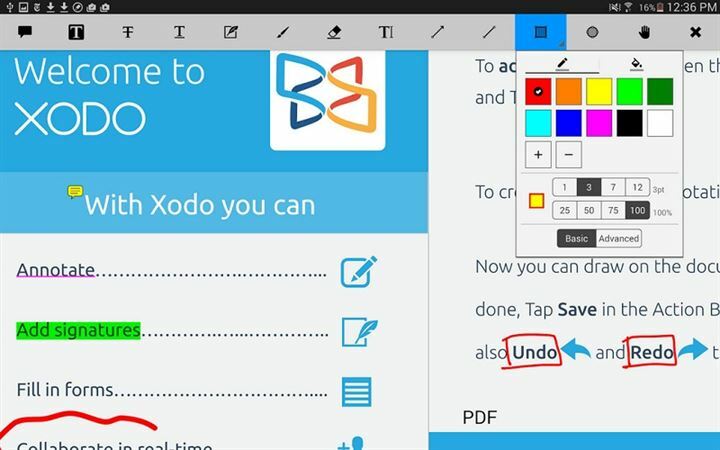 Xodo PDF Reader & Editor is a full featured pdf editor app for android with excellent performance that is available absolutely free, which allows users to edit PDF files on the go. Files edited on Xodo Reader are being synchronized automatically with Dropbox and Google Drive. Images and photos of varying format could be edited using the app and the resulting file would be a PDF file. 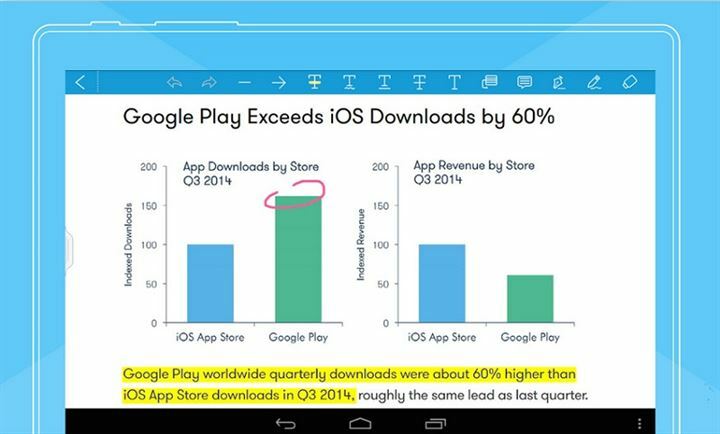 Organizing is not quite as easy as other comparable android PDF editor apps. System preference for brightness does not work with the app. Several users have reported these cases and are yet to receive feedback from the developers.